The evolution of Tip Top, a menswear retailer, across Canada includes newly-designed prototype stores, updated merchandise and enhanced customer service. The transformation of the business began a few years ago and is now in full swing with more to come. “If you were to look at the history of Tip Top, it’s been around over 100 years. You know that our core competency has always been a career/special occasion/event retailer. Our biggest business is our suiting business,” Lance Itkoff, President and CEO of Grafton Apparel Ltd., which owns Tip Top, told Retail Insider. “I joined the company three years ago and recognized that this was a wonderful asset that really just needed to be dusted off a bit and I thought it kind of had lost its way and was kind of stuck in time. It had not re-invented itself somewhere along the line. So it got a little stale. Itkoff said the company has this internal mantra that talks about the fact that every man deserves to look great. “We fit your body. We fit your budget. We fit your style. And we fit you with the confidence that you get when you look and feel great,” he said. The company has 90 Tip Top stores across Canada in every province, except Quebec, and 50 Big and Tall stores which is a mix of the George Richards as well as Mr. Big and Tall brands. The company’s journey culminated recently with the opening of its first new prototype stores in Bramalea City Centre in Brampton, Ontario and Southcentre Mall in Calgary. 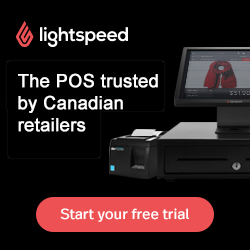 “We worked with a Toronto-based branding and design firm called Shikatani Lacroix and they helped us on this journey to re-invent the store experience. To get away from some of the dated stale boxes that we have and create a three-dimensional shopping experience that allows us to drive an emotional connection to our brand, to our store, be a place where the customer really enjoys shopping,” said Itkoff. Bramalea and Southcentre are the company’s first two renovated stores of many more to come. 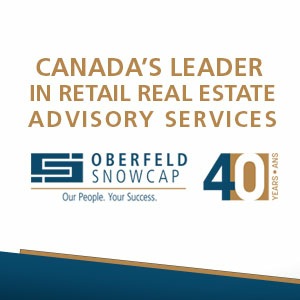 “We have two more in the fall - CF Market Mall (in Calgary) and CF Polo Park (in Winnipeg),” he said. “We’re also doing some other relocations and new store rollouts that will have the appropriate version of that prototype. Those four stores - the two that we’ve opened and the two in the fall - will have the full complement. When you walk in there’s digital imagery on the left and the right of the store. There’s the fit room in the back where we really celebrate the whole idea of transforming into this guy that looks great in his suit. There’s a lounge area outside. That full experience is going to be in all four of those stores. By spring of next year, said Itkoff, the company will have eight to 10 stores in the new prototype format either renovated or opened new. “The most important thing to us now to understand is what is the net effect? How are those going to perform for us? And then what is the plan for the rest of the chain?” he said. The newly-designed concept stores have a cleaner and brighter look with light wood accents and an overall airier feel. They feature two digital walls running content — showcasing lifestyle stories relevant to real guys, such as commuting to work or attending a social function. The traditional bulky sales counter has been replaced with a coordinating table with a point-of-sale system discreetly built in, says the company, adding that the new design features larger change rooms that open onto the tailor’s work space, so men can be fitted and watch alterations in progress. It says the new stores offer a significantly improved and uncluttered experience with merchandise that is better curated and displayed. “If what I think happens with the store format happens we’ll certainly be very eager to look at additional opportunities that we have in our radar - the Quebec marketplace for both of our businesses - but what I need to do is I need to get a read on these stores,” said Itkoff. “If these stores start to perform in the way that I would hope and expect them to perform, we’re going to be looking for opportunities. For us to understand we really need to understand here was the baseline for these stores and how they performed in the old format and here’s the new format. That’s really what’s going to tell us the opportunity to go down through the chain or open new stores. How does it drive footsteps to the door? How does it drive sales performance? These are all the kinds of things we’re very eagerly awaiting to understand what is the change from the way the stores used to be.